The Great Train Weekend at Mount Vic Flicks! 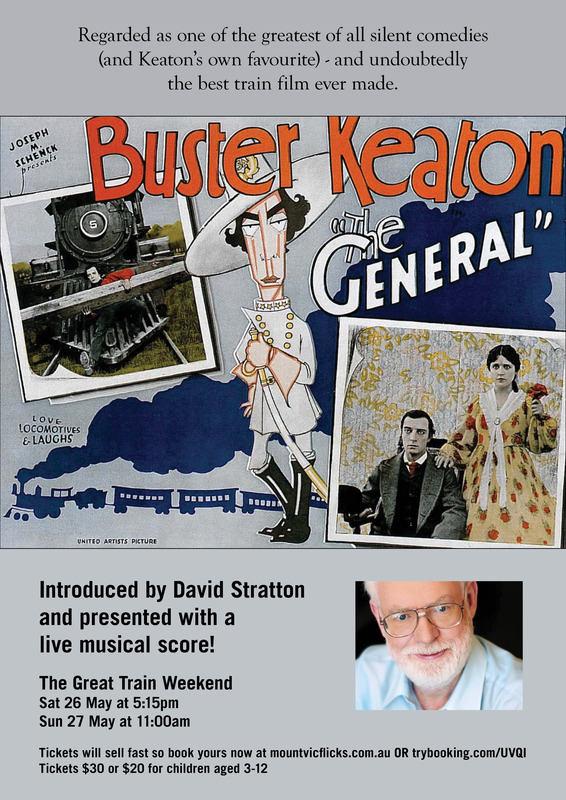 Introduced by David Stratton and presented with a live musical score, this 1926 comedy masterpiece was Buster Keaton’s favourite and perhaps one of the best train films ever made. Come dressed in your vintage finest and join us for an authentic silent movie experience on Mount Victoria’s Great Train Weekend. Tickets: Adults $30.00 Children 3 – 12 $20. The copyright of all promotional material on this page belongs to the film’s owners and is here used under licence.